So you know you want to go into Investment Banking. Maybe you’re on the fence, or maybe you flat out have no idea at all. 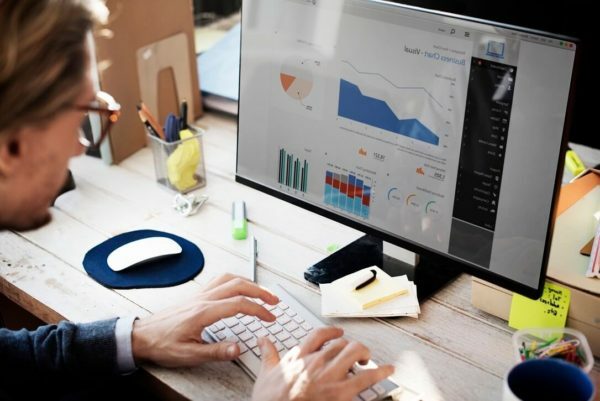 Investment banking analysts are typically tasked with performing financial analyses of companies and working with financial models in order to help other entities create capital. According to the Bureau of Labor Statistics, the median salary for Investment Analysts is about $80k, with close to 300,000 people working as analysts as of 2014. Still interested in a career in IB? We’ve analyzed the data and have compiled some of the important aspects of working in Wall Street’s most notorious industry. Fair warning, it’s not all like Wolf of Wall Street. (And not all finance majors go into finance) In recent years many investment banks have begun looking for computer science or engineering majors who have experience with coding. But don’t let that discourage you, certain investment banks like Goldman Sachs welcome applicants of all majors, whether they’re studying economics or poetry, though these opportunities are rarer. Everyone knows to expect long, challenging work weeks no matter what finance area they work in, but is a job in investment banking really that much worse? Yes. 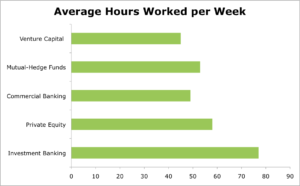 According to data reported by TransparentCareer users, the average workweek for IBanking is about 77 hours, which evens out to about 11 hours a day. Chances are you’ve heard that consulting jobs require an additional, specialized type of interview. Typically so do investment banking firms. The quant interview, short for quantitative, tests your knowledge of technical topics such as accounting or valuation. You may be asked to look at and analyze a financial statement or asked to define certain terms like “working capital” or “goodwill.” Some interviewers may even throw in a few hard brain teasers to see how you handle solving problems under stress. Though once hailed as the most coveted of jobs, investment banking positions aren’t as sought after as they once were. A report from the Harvard Business School’s class of 2015 shows that only 4% said they were interested in working at an investment bank. In fact, many Ibankers are leaving to pursue careers in the growing tech world. Not all bankers are leaving finance entirely though. As mentioned earlier, other areas in finance can provide similar compensation benefits at a less tolling cost. A survey of Merrill-Lynch’s 2000 investment banking class shows that 40% of the analysts eventually left IB for private equity or hedge funds. The world’s largest investment banks have noticed a decline in revenue, falling to $79 billion in the first half of 2016. This number is down 15% from the $94 billion in revenue banks saw in 2015. This is the steepest decline the industry has faced since the financial crisis, where revenues dropped 25% from 2009 to 2010.